Danstoker's history | Danstoker . 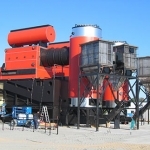 De Forenede Kulimportører” (The United Coal Importers) sees a great potential in automatically fired coal boilers and set up the company of “Dansk Stoker og Varmekedel Kompani” in Copenhagen (known under the name of DSV). 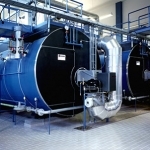 DSV starts production of smaller boilers in a factory in Næstved. 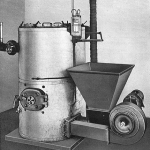 During this period DSV also acquires and runs the French burner factory of Thyphon. 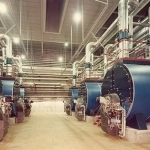 DSV builds a new factory in Birk near Herning, where the DSV boilers are now to be manufactured. DSV and the subsidiaries: Skandinavisk Kedelfabrik and GMJ merge, and all activities are gathered in one company under the name of Danstoker A/S. Danstoker is acquired by the Vølund group. Danstoker is acquired by the Ansaldo group in connection with their purchase of the entire Vølund group. Danstoker is acquired by Mr. Leif T. Thomsen together with a group of Danish investors. 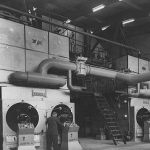 Danstoker extends its activities and acquires the German boiler manufacturer Omnical. Danstoker sets up a subsidiary in UK: Danstoker (UK) Ltd.
Danstoker sets up a Sales Office in Sweden. Danstoker celebrates its 75th anniversary. In November, Thermax Ltd. acquires the Danstoker Group. 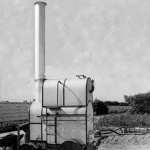 Danstoker acquires the Danish boiler company Boilerworks. Danstoker extends its activities and acquires a production facility in Poland.